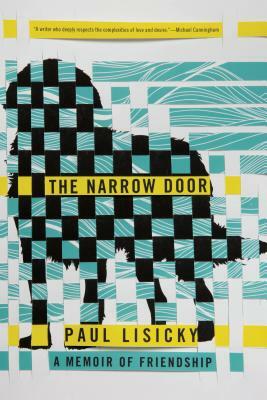 In The Narrow Door, Paul Lisicky creates a compelling collage of scenes and images drawn from two long-term relationships, one with a woman novelist and the other with his ex-husband, a poet. The contours of these relationships shift constantly. Denise and Paul, stretched by the demands of their writing lives, drift apart, and Paul's romance begins to falter. And the world around them is frail: environmental catastrophes like the Deepwater Horizon oil spill, natural disasters like the earthquake in Haiti, and local disturbances make an unsettling backdrop to the pressing concerns of Denise's cancer diagnosis and Paul's impending breakup. Lisicky's compassionate heart and resilience seem all the stronger in the face of such searing losses. His survival--hard-won, unsentimental, authentic--proves that in turning toward loss, we embrace life. Paul Lisicky is the author of four books, including Famous Builder and The Burning House. He has received fellowships from the NEA and the Michener/Copernicus Society, among others. He teaches in the MFA program at Rutgers University-Camden.